I have one. You probably do too, right? So let’s just reflect on that for a moment, shall we? Remember him in Roommate where he revealed himself to be really sweet, slightly dense, and a little bit of a rule breaker? When Lee Dong Wook bought him the cell phone because his management wouldn’t let him have one? When he showed he shared a room with the other members of 5urprise? (Is that still a thing? Or are they just letting him act now?) When that other kid was a jerk to him because Seo Kang Joon got a job he didn’t? Feeling squishy yet? So why are we talking about him? Oh yeah, he’s gonna be in a new drama. I don’t want to downplay this as the news isn’t just that he was cast in a drama, so let’s try it again. Hey guys! 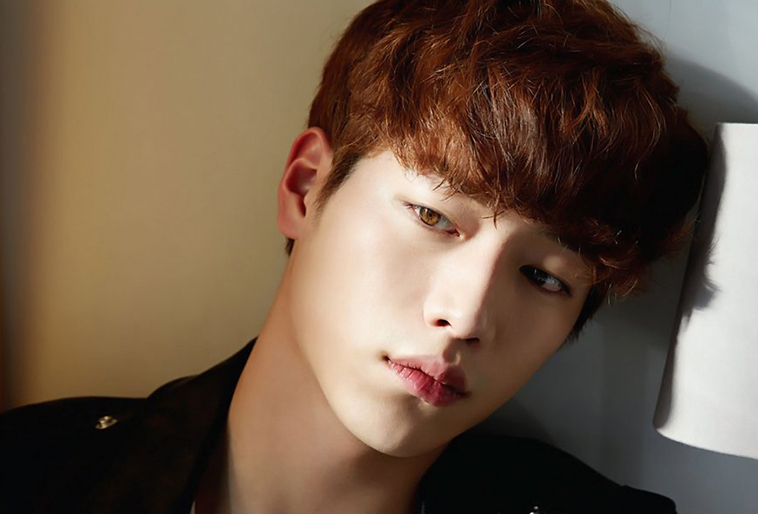 Seo Kang Joon just confirmed to be lead in an upcoming drama that is the live-action adaptation of a hugely popular web drama! The webtoon, Something About Us, is about two friends who are super close in high school then the girl goes to college, the boy to the military, then, two years later, he joins her. He’s cold and prickly to everyone around him but super warm and friendly to her. From the way it’s described it actually seems to be more about her journey, which is the sort of story I really enjoy. Plus, where this is already coming from a source material that people loved for years, it has to be at least interesting, right? Let’s all just say yes because I really want to look forward to this show. Now, this is not Seo Kang Joon’s first foray into adaptations. Remember Cheese In the Trap? (The drama, not the movie adaptation being filmed right now. While I know the lead guy was brought back for version, I don’t think the rest of the cast was.) Yep, he had a pretty big role in that one. I’m thinking I want to do some research on dramas that come from mangas or web tunes. If I remember correctly, there are a lot of them be it Japanese, Thai, Korean or Taiwanese. I do enjoy the way he’s working his way up the drama food chain–proving his stuff before tackling the bigger roles. It makes for a better an actor and, in turn, makes for a stronger career. Oh, and? Not only is has he signed onto this show, he actually has another show under his belt that hasn’t even broadcast yet as it’s one of those shows where the production decided to prefilm everything. All this being said, I think it’s time to hop aboard the Seo Kang Joon fan train because — choo-choo! — we’re gathering steam and are about to leave the station. I.E. Good job Seo Kang Joon, keep up the good work! When I think of SKJ, I do have a soft spot for him. However, when I looked over his work, I realized I had only seen him in a few things. Mostly because the dramas did not appeal to me. I hope one of the next few will peak my interest. I have noticed that he has been a supporting role with a few projects that have Astro members also involved. I wonder if they are in the same company??? I have seen Three of the Five members of 5urprise in dramas…SKJ, Lee Tae Hwan and Gong Myung (whose little brother is Do young of NCT). I’m happy he has a main lead role. I’ll totally be watching this one!